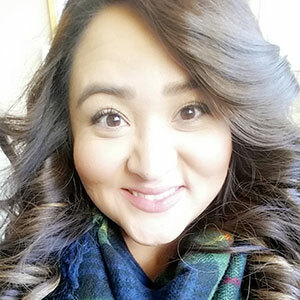 Rebecca Chàvez graduated with her bachelor’s degree in Public Health with a concentration in Health Promotion and Health Behavior in Spring 2011. For the past three years, she’s worked for Polk County Public Health in Dallas, Oregon and started in her current role of outreach specialist in 2017. Rebecca received the 2017 Emerging Leader award from the Oregon Public Health Association. The award is given annually to early career professionals who demonstrate leadership, innovation and creativity. Among her early career successes are starting the Oregon Mothers Care Program at Polk County. In the first six months of the program, Rebecca has exceeded the state’s outreach and enrollment goals. She also initiated a condom access project, and now clients are able to access free condoms in three different locations throughout Polk county. Rebecca also finds time to volunteer and mentor an at-risk high school student. She aspires to help youth of color succeed because she knows what it’s like to be a first-generation college student. We caught up with Rebecca to learn more about her time at Oregon State and in the College of Public Health and Human Sciences. Synergies: How did being a student in the CPHHS prepare you for your current role? Rebecca: “The classes that discussed health inequities and social determinants of health really helped. These types of classes usually involved doing projects outside the classroom. They put classroom lectures into perspective by providing hands-on activities. I definitely learned about the Corvallis community I lived in and what inequities exist. Rebecca: “Dr. Raymond Tricker says that change is always possible. Whether it’s changing a person’s way of thinking to make healthier choices, changing public policy to create healthier communities, changing the way a system delivers services to make a healthy community or changing social/cultural norms regardless of push-back, change is always possible. Rebecca: “Take advantage of getting to know your community and the inequities that exist in them. Take any opportunity to gain experience inside and outside of the classroom. Rebecca: “I appreciated all the support faculty and student organizations provided me at Oregon State. As a student of color, it was hard being away from home. Throughout my five years, I was able to call it my second home.